William Perkins considers being elected as president of the Decision Sciences Institute and earning the Distinguished Service Award from Indiana University Bloomington as the highlights of his career. BLOOMINGTON, IN, September 26, 2018 — Marquis Who's Who, the world's premier publisher of biographical profiles, is proud to present Mr. Perkins with the Albert Nelson Marquis Lifetime Achievement Award. An accomplished listee, Mr. Perkins celebrates many years' experience in his professional network, and has been noted for achievements, leadership qualities, and the credentials and successes he has accrued in his field. As in all Marquis Who's Who biographical volumes, individuals profiled are selected on the basis of current reference value. Factors such as position, noteworthy accomplishments, visibility, and prominence in a field are all taken into account during the selection process. An esteemed and devoted business educator, Dr. Perkins dedicated his career to sharing his expansive knowledge. Before beginning his career, he earned his Doctor of Business Administration from Indiana University Bloomington in 1966, where he also obtained his Master of Business Administration in 1962. Prior to these achievements, Dr. Perkins received his Bachelor of Science in Civil Engineering at Rose-Hulman Institute of Technology in 1960. Dr. Perkins valiantly served as a captain in United States Army from 1964 to 1966, though his true passion is business education. While completing his master's and doctorate degrees, he was afforded the opportunity to teach classes in the field of business. Discovering he immensely enjoyed teaching students at an advanced level, Dr. Perkins decided to stay within the field of business education. 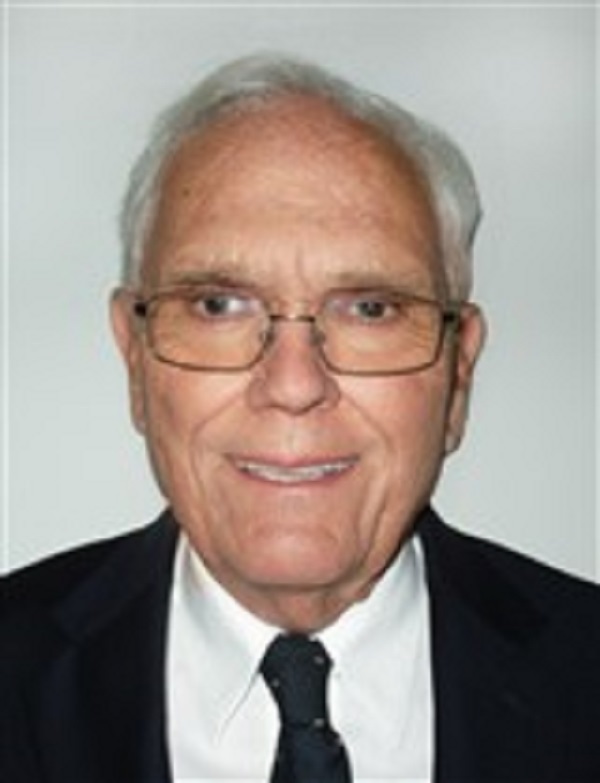 As of 2003, Dr. Perkins is a professor emeritus at Indiana University Bloomington in the operations and decision technologies department in the Kelley School of Business. His other positions at Indiana University Bloomington include professor from 1974 to 2003, associate professor from 1969 to 1974 and assistant professor from 1966 to 1969. Additionally, Dr. Perkins taught at the U.S. Military Academy, West Point, as an assistant professor from 1965 to 1966 and as an instructor from 1964 to 1965. In these teaching positions, Dr. Perkins taught at the undergraduate, masters, doctoral and executive program levels. He completed semester and summer-long research or teaching assignments at the University of Hawaii, the University of Minnesota, the National University of Singapore, Arizona State University and the University of Ljubljana in Slovenia. Eager to share his expertise even in retirement, Dr. Perkins taught in the doctor of business informatics program at Dhurakij Pundit University in Bangkok, Thailand. Dr. Perkins dedicated the majority of his career to Indiana University Bloomington, consistently nurturing and educating students over the decades. His positions in the institution include director of the Institute for Research on the Management of Information Systems from 1992 to 1996, chairperson of the operations and systems management department from 1980 to 1987 and chairperson of the undergraduate program of the School of Business from 1974 to 1979. He held the position of the university's faculty athletics representative and was a member of the Big Ten Joint Group and the Big Ten Faculty Representatives Group, all from 1994 to 2003. Furthermore, Dr. Perkins served as chair of both these groups from 2000 to 2001. Additionally, Dr. Perkins served on the NCAA Division I Academic Consultants group from 2001 to 2003. He was a member of the NCAA Division I Academics/Eligibility/Compliance Cabinet from 2000-2003 as well as its Subcommittee on Initial-Eligibility Issues. He also held membership on the Big Ten Academic Progress and Eligibility committee from 1994 to 1998. Dr. Perkins was a member of the Big Ten Academics and Eligibility subcommittee from 1998 to 2003, also serving as its chair from 1999 to 2003. An influential instructor, Dr. Perkins has been inducted as a member of several organizations, and is currently a member of the Association for Information Systems. A fellow of the Decision Sciences Institute, he served as the organization's president from 1992 to 1993, treasurer from 1984 to 1986 and vice president 1982 to 1984. Furthermore, Dr. Perkins was the president of the Midwest Decision Sciences Institute from 1984 to 1985. In 1988, Dr. Perkins received the Institute's Distinguished Service Award. In 1994, he received the Twenty-Five Year Distinguished Service Award of the Midwest Decision Sciences Institute. Additionally, Dr. Perkins was named an inaugural fellow of the Midwest Decision Sciences Institute in 2005. Dr. Perkins has received numerous noteworthy teaching awards from Indiana University Bloomington. He received the Senior Class Outstanding Teacher Award and the Harry C. Sauvain Award for excellence in undergraduate teaching. In addition, he received the Frederick Bachman Lieber Award, the oldest teaching award given at Indiana University. Dr. Perkins received the Distinguished Service Award from the Kelley School of Business at Indiana University Bloomington in 1999 and Indiana University Bloomington's Distinguished Service Award in 2003. Dr. Perkins has had a long and fulfilling career. He considers being elected as president of the Decision Sciences Institute and earning the Distinguished Service Award from Indiana University Bloomington as the highlights of his career. Dr. Perkins is also honored to have received Distinguished Service Awards from three different organizations. In recognition of outstanding contributions to his profession and the Marquis Who's Who community, Mr. Perkins has been featured on the Albert Nelson Marquis Lifetime Achievement website. Please visit www.ltachievers.com for more information about this honor.